There is a good chance that you will see some sort of meme shared at least once a day while browsing through social media, and if you are based in St. John’s, Newfoundland or have ties to the province or its capital city, there is a good chance one of those memes that you see comes from Daniel Hiscock. You may not recognize his name, as you may be more familiar with his Townie Memes handle on Facebook and Instagram and might even be one of the over ten thousand followers each social media page has amassed. Hiscock, 29 calls himself a “true townie”. He was born to a pair of townies and raised in St. John’s growing up in the city’s east end and graduating from Gonzaga High School. “[B]ut don’t hold that against me!” he told The Racket via email. Hiscock would go on to study English and History at Memorial University and obtained a bachelor in public relations from Mount Saint Vincent in Halifax. He now works in the communications and marketing sphere and dabbles in freelance writing. “People sometimes expect me to be some larger than life character because of the page, but I’m disappointingly boring,” said Hiscock. “I enjoy staying in with a cold beer and a few re-runs of Anthony Bourdain’s shows. I also pre-record and binge watch Jeopardy, so I’ve got some Newfie Nan in me.” He said nothing brings him more joy in life than getting Final Jeopardy when the players on TV get it wrong. 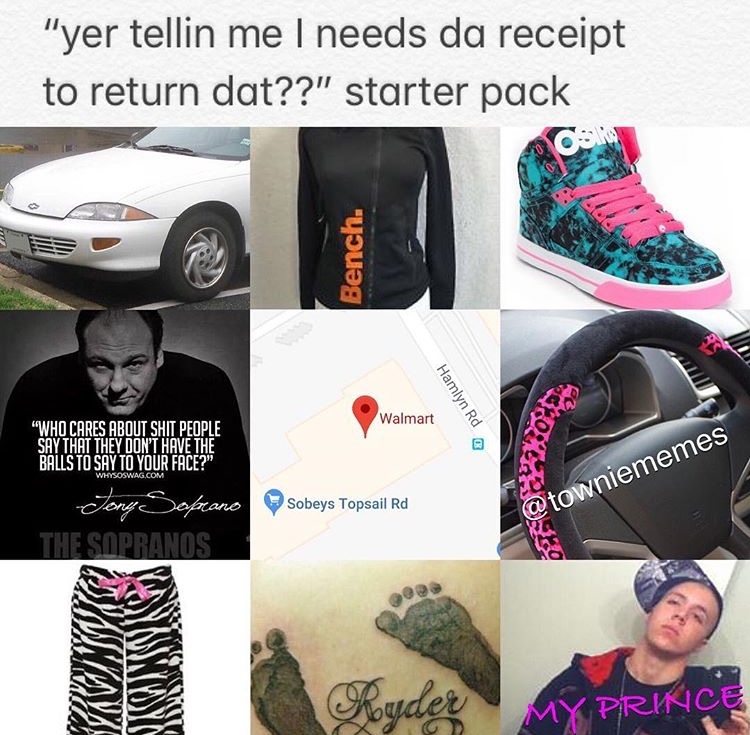 Despite his self-professed boring life, Hiscock seems to use his cleverness, love of his hometown, to create Townie Memes in an effort to entertain people on social media. 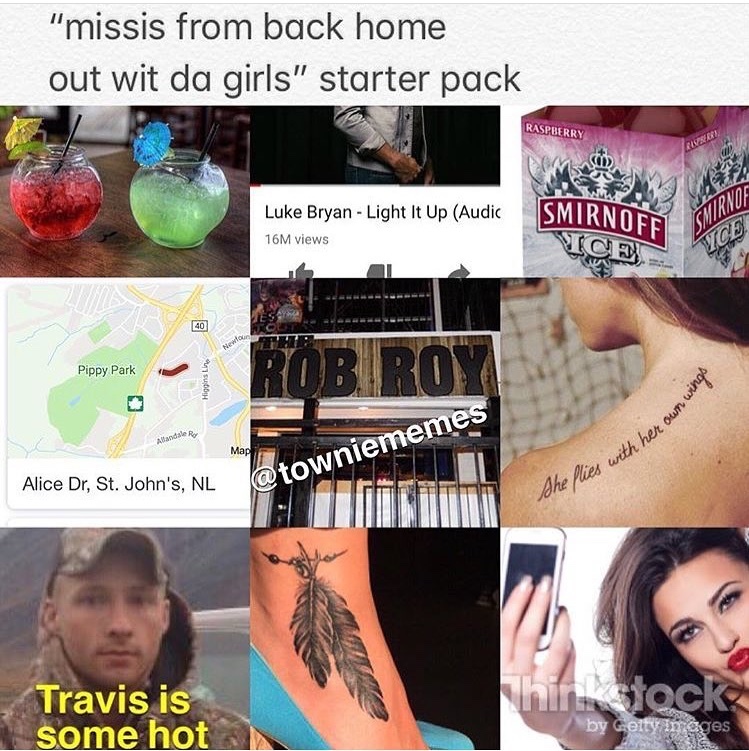 Townie Memes started in 2017 when Hiscock was living in Halifax and feeling homesick. “I was always, and still am a fan of the other Newfoundland meme pages, but I wanted to do stuff that was specific to St. John’s primarily,” he said. This is a unique city with a lot of humour in both its charm and its not-so-charming aspects.” Hiscock said he planned to promote that unique brand of humour through the popular medium of a meme. “I think every townie has a love-hate relationship with this city, so we can appreciate that humour and laugh at ourselves,” he said. Hiscock was adamant that his intention is not one of ridicule, and if anything, he is making fun of himself mostly. Sometimes, a meme doesn’t go over the way it is intended. Hiscock admitted to being surprised and elated that people care or find anything he does to be funny but he said sometimes he doesn’t get the response he hoped for. He also tries to be aware of his audience and posts certain memes on Facebook, or Instagram, depending on the platform. “If you look at my Facebook account, I post about a quarter of what I post to Instagram on there because it’s a different audience,” he said. “There could be things that the Facebook audience find more offensive or the reference might just be completely lost, which has happened before. A simple way to look at it is, your nan and your great aunts probably have Facebook, but they’re probably not on Instagram.” Hiscock tries not to be overly vulgar or provocative with any meme that he makes and avoids blatant swearing and writes edited versions of curse words instead. There are times that a meme does not go as planned but turns out for the better. Hiscock mentioned an example of an admittedly lazy meme that said “Me explaining anything to anyone,” with a quote from the Trailer Park Boys. It ended up garnering hundreds of thousands of shares and reached over a million people on Facebook. 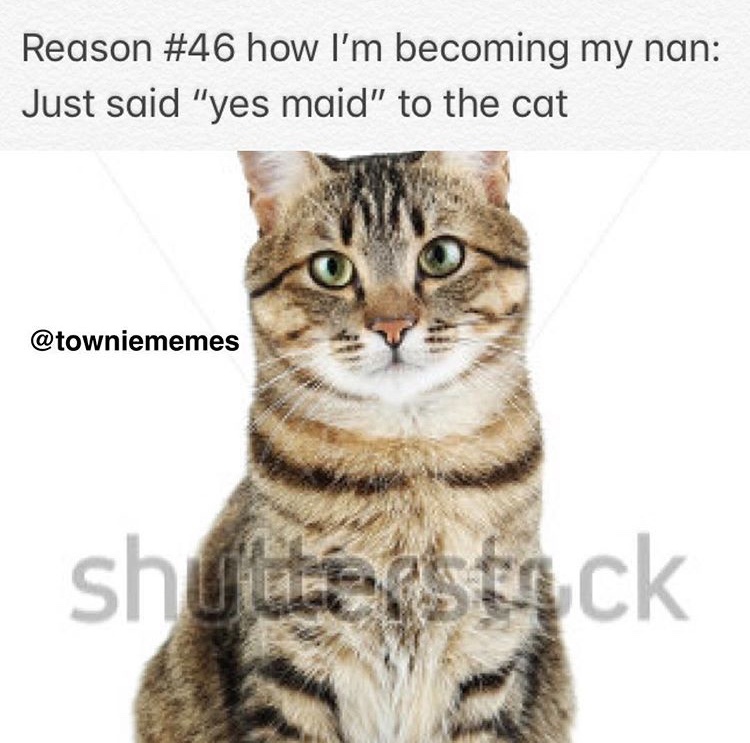 This story is just part of the extremely positive response Hiscock said Townie Memes has received. “The page wouldn’t exist without the people who like and support it and I try to always keep that in mind,” he said. You can see some highlights from Hiscock’s routine when you follow his Instagram page @towniememes. 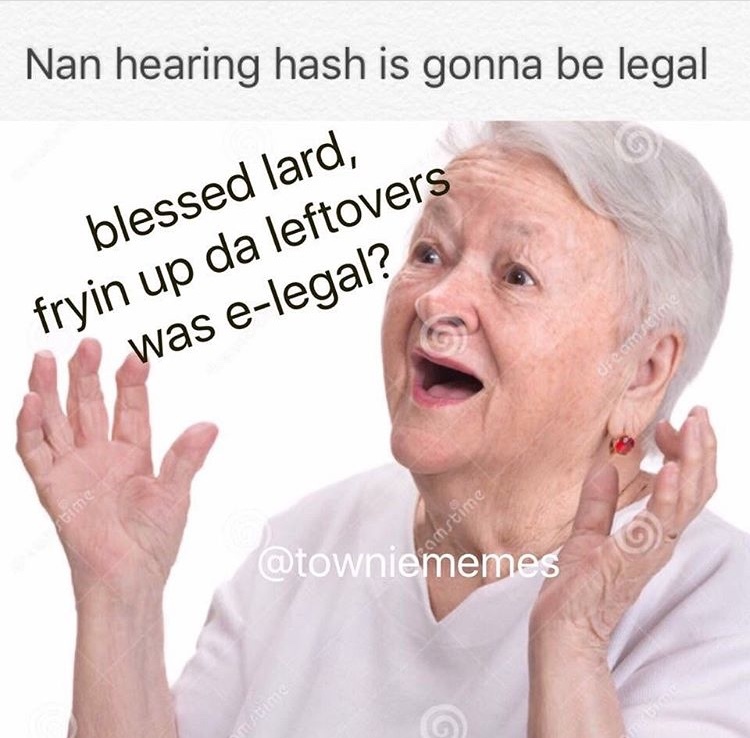 You can also like Townie Memes on Facebook.